President Rivlin makes condolence call to bereaved family of Elhai Taharlev, the 20-year-old soldier murdered in a terror attack last week. 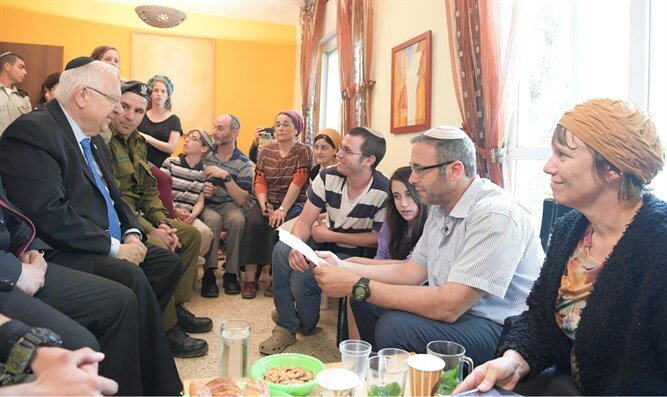 President Reuven Rivlin made a condolence Sunday evening to the family of Sgt. Elhai Taharlev, the 20-year old IDF soldier murdered in a car ramming terror attack outside of Ofra, in Samaria, last Thursday. Elhai’s family told the president of their son’s pride at being recruited into the Golani Brigade and his plans to train to be an officer. His parents told the President of Elhai’s childhood in the community of Talmon in western Samaria, where they were one of the founding families. President Rivlin expressed his deep sorrow for their loss and spoke of the price that the Jewish people have paid and continue to pay for their independence in their historic homeland.